2017 Edition! Book #5 of the Lumby series. What Garrison Keillor did for Lake Wobegon and Jan Karon did for Mitford, Gail Fraser has done for Lumby - a town so heartwarming and endearing, you'll be forever transported. When Pam and Mark Walker’s relatives descend on Montis Inn for a week of vacation and an anniversary celebration, surprises abound that make this family reunion one that will never be forgotten. As Mark’s brother-in-law begins to broadcast his radio talk show from the inn’s living room, other family members are more interested in the festivities at the county fair. But it’s not just the antique Ferris wheel that comes to a jolting stop when Carter Reed turns up the volume of his commentaries on small town living and takes the side of a real estate developer who’s banking on turning Lumby into the next Aspen, and pits neighbor against neighbor while threatening the town’s bucolic way of life. And Pam juggles the generation gap between her thrill-seeking mother and a nonconformist niece who posts every detail of the clan’s get-together on Facebook. 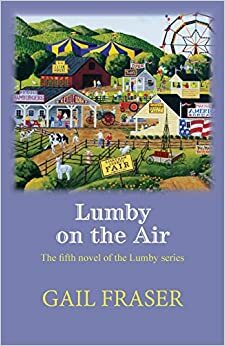 But for this one week, family, no matter how it’s defined, is always a matter of the heart and a spirit that defines the town everyone has come to know and love - Lumby.